Suitable for use as internal wiring in appliances and electronic equipment. This wire meets UL Style 10362. Description: Single conductor stranded nickel plated copper insulated with extruded PFA insulation. Tinned Plated & Silver plated copper conductors also available. Call to inquire. 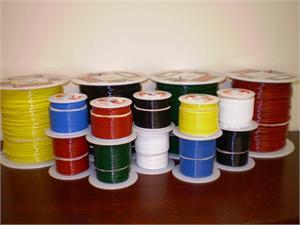 See our other lines of PFA Wire Here.